Due to my upbringing (my father was a mechanical engineer) and my tinkering with constantly breaking down cars, I wanted to become a motor mechanic, but my ever-optimistic parents encouraged me to stay on at school (even though it was evident that I would always be struggling academically). When it was finally acknowledged by all that I would wasting my time at school (after repeating form six), I ventured out into the big wide world of becoming gainfully employed. I soon discovered that no-one would take on such an “old” apprentice motor mechanic at 18, so I registered with the Commonwealth Employment Service, as it was then called, looking for employment opportunities in “something mechanical”. Within a week I was invited to attend an interview at the local office equipment shop, a small business consisting of the owner (heading the sales force of one – that is, himself) a secretary and a typewriter mechanic. I must have made an impression at the interview (or else I suspect he had no other applicants to this somewhat lowly job on offer) as I was offered the position, with an immediate start. 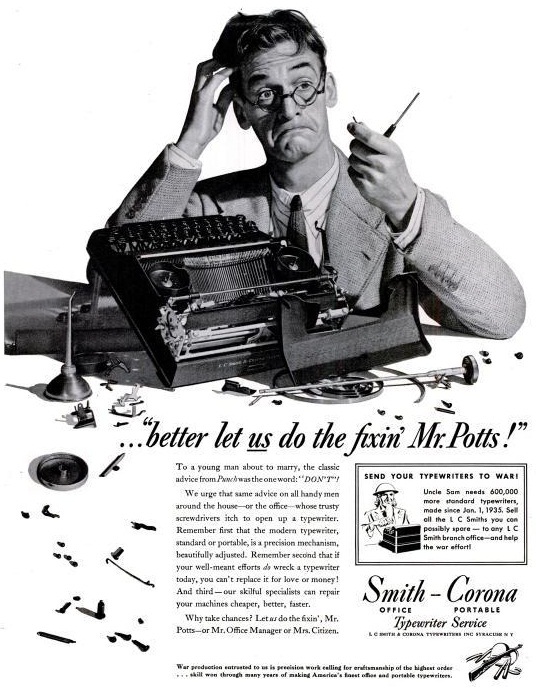 My first day I remember very vividly, as I had NEVER meddled with a typewriter in my life (it was always forbidden to touch my father’s precious Hermes portable, lest any of us kids broke it). 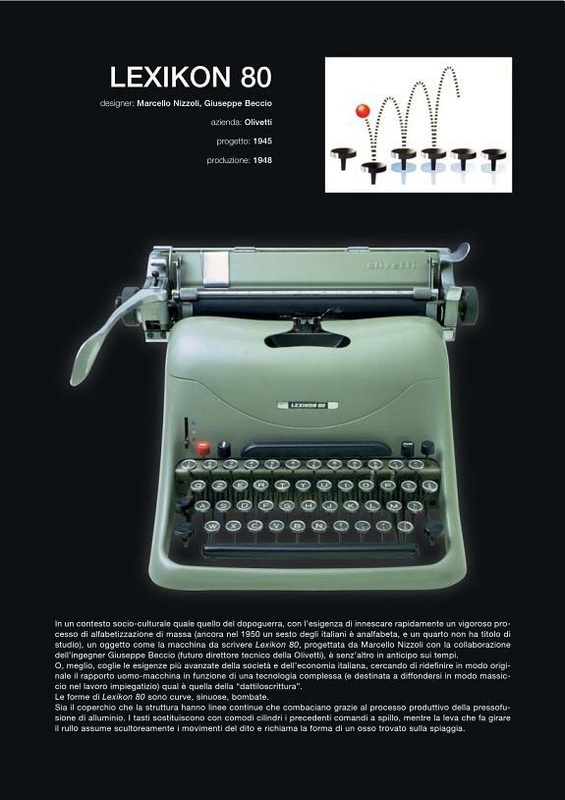 Here I was given an Olivetti Lexikon to overhaul. My mentor (my co-worker Norm, the typewriter mechanic) showed me how to take the carriage off, and then left me alone in the workshop, whilst he attended to his job rounds for the day. I was to disassemble it and put it into the parts washing machine. Well, I felt I did a pretty good job in taking the whole damn thing apart, and in the process learnt all the inner workings of the typewriter’s functions, the escapement, the tabulator, backspace, the ribbon reverse mechanism, the platen and line-feed mechanisms etc. On re-assembly, there were only a few bits left over. Norm patiently showed me where they went, but all in all, a great first day’s effort I felt! I was in heaven, I could tinker with some pretty exotic and complicated mechanical marvels of the day – and what’s more I was being paid for it! In retrospect, the wages were not too flash, around $40 a week as I recall - but as a young school-leaver, I thought I was embarking on the career of a lifetime. 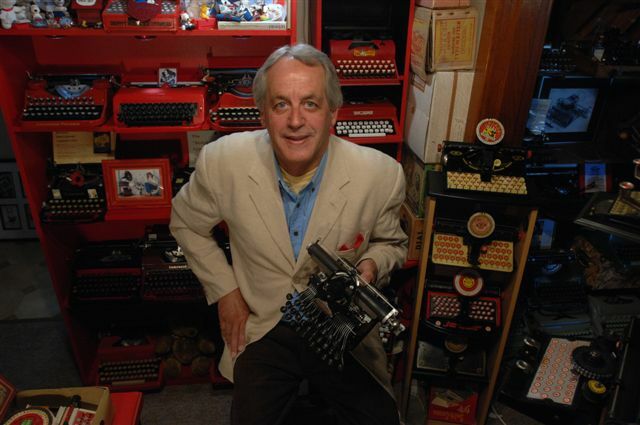 I had no idea of the fun times that were ahead of me and how typewriters were to have such a huge impact in forming the basis of my career path. In subsequent instalments I will relate some of the antics we got up to in the trade, and the absolutely hilarious things that some of my co-workers got embroiled in as we walked the streets carrying our trusty “Ames”-brand tool case, which was the standard kit that all typewriter techs carried in those days. (I still have mine and I suspect that most of the guys from those days still fondly hold on to them as well). Interesting. I look forward to the rest of his posts. It is good to hear from a typewriter repairman himself. Michael, I'm very impressed that on your first day, you were able to disassemble and (more or less) reassemble a Lexikon 80 on your own! Obviously you have a gift. Looking forward to your stories.